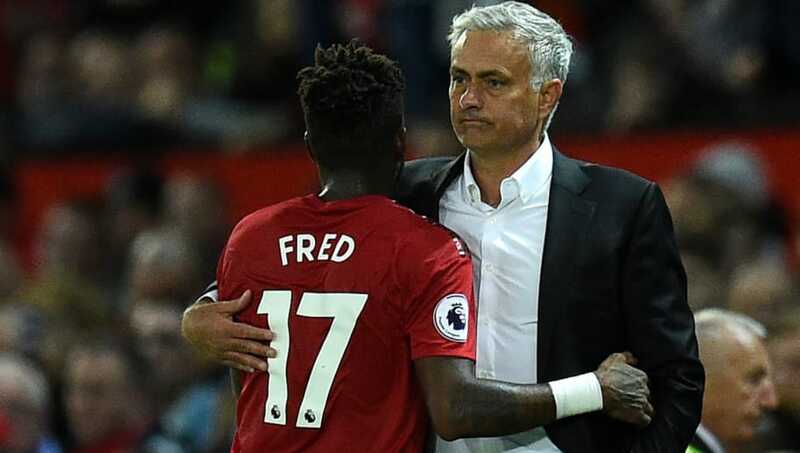 ​​Manchester United midfielder Fred has revealed that Jose Mourinho was the 'crucial' reason why he chose to sign for Manchester United after initial discussions with fellow rivals Manchester City. ​The Brazilian joined the Red Devils in a £52m deal and will be participating in his first Manchester derby this Sunday. Fred was said to be close to joining Manchester City in January this year but United came calling in the summer, which was something the player could not say no to. Speaking to ​FourFourTwo, Fred stated, "That's true, I received an offer from them [City] and even talked to my Brazilian team-mates who play for our neighbours." He continued, "They were trying to convince me to join them, but in the end it didn't happen. Then it was the summer and, as I said, there were other offers, including from United. I quickly decided that was the right move for me." Fred then went on to appreciate his manager Jose Mourinho as he said, "Mourinho is a top, top professional and every player likes to work with such a winner. I'm learning things from him, that's for sure. He can be quite strict, but that's part of his job." The 25-year-old midfielder concluded by highlighting the best qualities of the Portuguese tactician as he said, "He's also friendly and funny off the pitch, and jokes with us in the dressing room. Jose was crucial in my decision to join Manchester United and I'm grateful for his interest in my football." Fred will be part of Manchester United's squad for this weekend's titanic clash against Manchester City in the derby.